Erin Scales oversees sales for 2bPrecise. With a primary focus in healthcare technology, Scales possesses 20 years of experience in enterprise sales, strategy, and business development in both the public and private sectors. 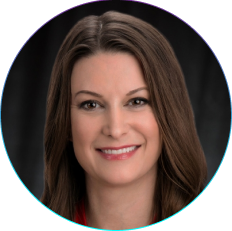 She cultivated her expertise in sales and leadership, achieving consistent and significant revenue growth, in previous roles with NantHealth, CareFusion, Motorola and others. Through her successful healthcare consulting practice, Scales provided companies of all sizes assistance with market entry, achieving substantial revenue growth, and with development of their exit strategy. Scales’s exhibits a deep “customers first” commitment to delivering value while building confidence and long-term trust with clients and partners. Erin holds a Bachelor of Arts degree in Economics from East Carolina University. © 2019 2bPrecise. All Rights Reserved.